And then there were three….Books and a Bar Tour of Morristown, NJ. With the release last week on Amazon of my third book, Bitters and Shrub Syrup Cocktails, I must pause for a moment to reflect upon the past few years… Ok, now that I’ve finished reflection- it’s time to get back to work. I was introduced a couple days ago to Eventbrite, which is, if you don’t know already – the global leader in event planning and implementation. They’re a cool place to find local events, or organize events, and sell tickets to your events! I’m participating in their new project that is called – quite simply- Hometown Hunt. I’ll be sharing my favorite local spots on Cocktailwhisperer.com , my own website that has unlocked many doors since I built it. It’s a pretty simple site, not a whole lot of bells and whistles here! So hopefully you can follow along with me and let me know what you think. One of the things that I don’t often do is “blog”… Years ago, I took a course in food blogging at the former French Culinary Institute and it didn’t go well- primarily because I don’t consider myself a blogger! I think columnist fits the bill better- yet I digress, blogging is big business for spirits companies! How do you monetize it though? Why you should go to the Jockey Hollow Restaurant. I haven’t been to eat, but I do know that their cocktail program is world-class with Christopher James at the helm. Chris is my mentor and friend- full disclosure, I bar-backed for him at the Ryland Inn (scary) and learned that being a bartender is not always a glamorous job! It’s darned hard work! 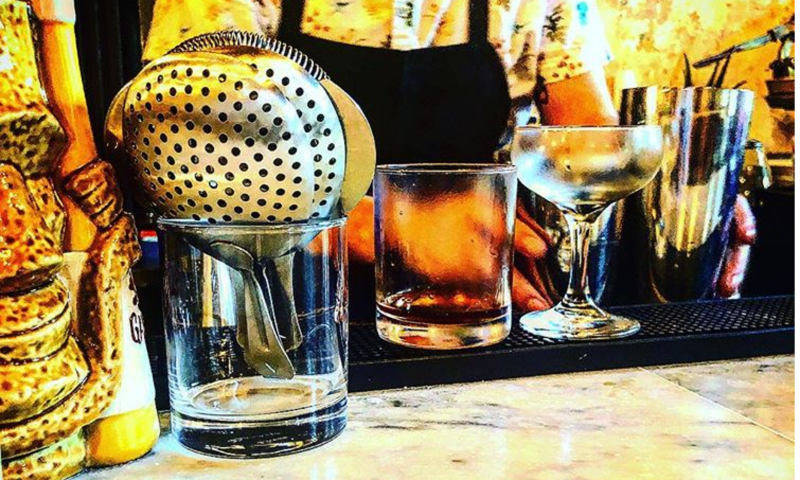 Here is a short list of places that get it with respect to cocktails in Morristown, NJ. David Todd’s.. from the moment you hear the familiar music and New York Cool- without the NYC attitude- and dig deeply into their Wine Spectator Award of Excellence cellar or what I came for- the well-crafted cocktails- made with the best possible ingredients- well… you know you have arrived. There is no pretension here- even though that gal or guy sitting next to you has their own private jet, fueled and ready at Morristown Airport. So try to dress to impress, because you never know! The hand-crafted drinks, some deceptively strong will make that first impression correct. This is one of the most beguiling of all the Morristown places that gets it with great drinks. And the food? It plays in conjunction with the cocktails and most certainly the well-chosen wine list. Just go! Have a Negroni, sit outside and watch the world go by. By Warren Bobrow, Cocktail WhispererI love the drink named the Negroni. It’s bright, refreshing and quenches the thirst, unlike many cocktails. It never leaves me feeling drab, nor does it take away my appetite like some other cocktails do when sipped before a meal.In my upcoming book, Apothecary Cocktails, Restoratives from Yesterday and Today, I discuss the correlation of the digestive tract and healing, by using liquors mixed with fresh herbs. 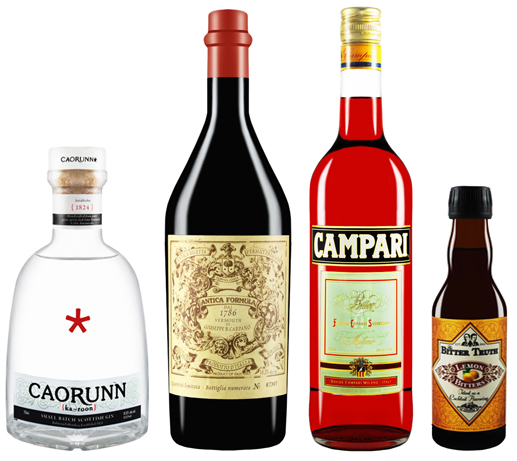 If only the pharmacists from years back had known about the Negroni as a healing curative! Well, in a way they did. I also use a couple large hand-cut cubes of ice from a silicone tray in the freezer so I can control the quality of my ice. I ALWAYS USE Carpano Antica for the second step. (It’s rolled, never shaken) and their brilliant Irish Coffee is every bit Ireland as anything in the world. The BEST is found here at the Grand Cafe. Jockey Hollow… again. Chris James at the helm. Need I say more? Just go and pour yourself into a seat at the bar. SM23… For a slice of NYC with all the thumping but not the bumping, try this very sophisticated boite located within the Headquarters Plaza building. Classic cocktails, made with the best ingredients possible are the framework for SM23. Just go- and bring an appetite for some of the best Indian and Asian food around, save room for dessert!!! End of Elm… I’ve had good cocktails here. While not a Craft Cocktail lounge, the emphasis is on their food at EOE… They do mix some fine drinks without much fluff. I like it and if you find their prices too rich for your pocket, you can always get a submarine sandwich at Long John’s next door for your lunch with some for the next day! Dive Bars and just some really lousy bars. Morristown is full of them. They say that Morristown is the Hoboken of the western part of the state. I say the Morristown-Town Fathers got what they deserved with the quality of bars that exist by the historic Green. And don’t even get me started on the interior architecture of these places.. Isn’t Morristown a Colonial town? With a major focus of my career for drinking fewer drinks and drinking better when you do drink… well, it is an embarrassment, at least for myself as someone who takes great pride in the cocktail movement, to even try to have a conversation about why a margarita should not have both cheap triple sec and bottled sour mix. Morristown dive bars and some of the ones that surround the Green, like many other places around the country serve no better than the worst drink you’ve ever had- made to appear to be the best drink that you’ve ever had- but as I like to say, the ice gives it all away. Find me a place with good ice and I’ll tell everyone. If you use bar ice? Well for me at least, it’s all bad things. And if you are making your Margarita cocktails with triple sec and bottled sour mix- well, it should be a crime. These places don’t try to make anything that even closely resembles a craft cocktail- and thus they do not get it. But they do serve the multitudes of people who flood to Morristown to get as smashed as possible. It’s a fact of life- like or not. awful… beer and shots made with cheap ingredients. Play hopscotch outside at night, or on a weekend with what is sometimes left on the sidewalk by over-indulgence’s. It’s a very young set here. No soft jazz or Sinatra on the stereo, so don’t ask. A good place to stay well clear of in my opinion. Even the Guinness is too cold. The Iron Bar… It’s cheap and tawdry. From the low quality, bottled sour mix they use to fill out most every mixed drink, to the base spirits made in chemical factories, if you like your flavored vodka in candy varieties like whipped cream and chocolate pudding, you’ll love it here. And their Bloody Mary is shaken. FAIL…. The Office- located next door tries really hard. I do love their beer list, but their cocktail list needs much refinement and balance to be included on the list of who gets it in Morristown…. the answer is- very few. Urban Table tries hard too… Without much luck. Roots is not a place for a Craft Cocktail. A Rob Roy might work in a pinch or a decent Manhattan, but these prices? This is not New York, so please, use better Vermouth in that well north of fifteen dollar drink. Again.. Just my opinion. One of the great liquor and wine stores in Morristown is Cambridge Wines on Morris Street. They have one of the best selections of whiskey around. AND they have sold copies of my books! A win/win! The Grapeful Palate, located up on South Street has a very carefully curated selection of wines, beers and spirits. I love their attention to the customer and the calming effects of the Grateful Dead on the stereo system, making this a perfect destination for all your desires in the liquor world.